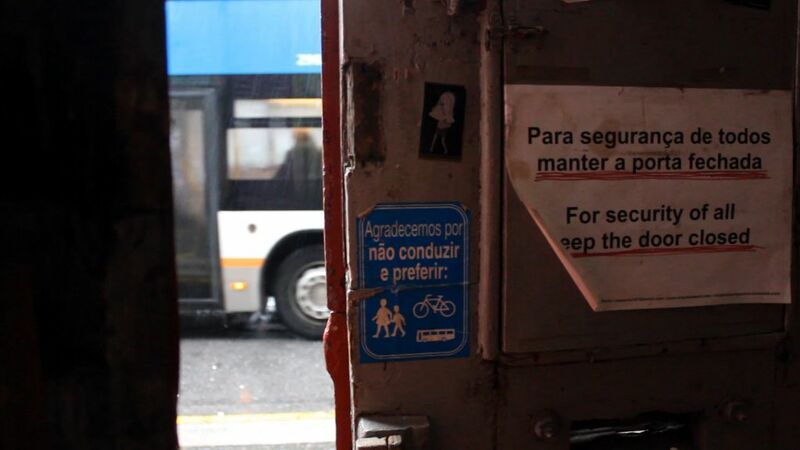 An audiovisual essay on an underground cultural center in Porto. In the making of the work the real interiors, signs and spaces are re-mixed into a fictional one-minute story of alive house, secured from the life outside of its walls. Alina Ozerova is an emerging visual artist and filmmaker, originating from Moscow (1983) and based in Amsterdam. Having previous education in sociology Alina found herself sourcing from both social sciences' approaches and arts. Her recent education includes audiovisual department at Gerrit Rietveld Academie (Amsterdam, The Netherlands), and Film Major exchange program in San Francisco Art Institute, USA. Alina has an ambition to create visual works that study human body in its physical, cognitive, sensory and historic aspects. Genres and styles she’s working with include experimental documentary, video art and audiovisual performances. The past visual works of the artist were screened at several film and video art festivals and exhibitions around Europe (The Netherlands, Germany, Italy, Slovenia), and 'Semiotics of Aliveness' was honoured with the first prize at DigitalBigScreen 2013, International Video Art Festival (Slovenia).